Handcrafted Quality. Free Shipping with $125 Purchase -- Coupon Code 125FREE at check out. All candle orders ship free priority mail! Ready to Ship. You will receive one broom. 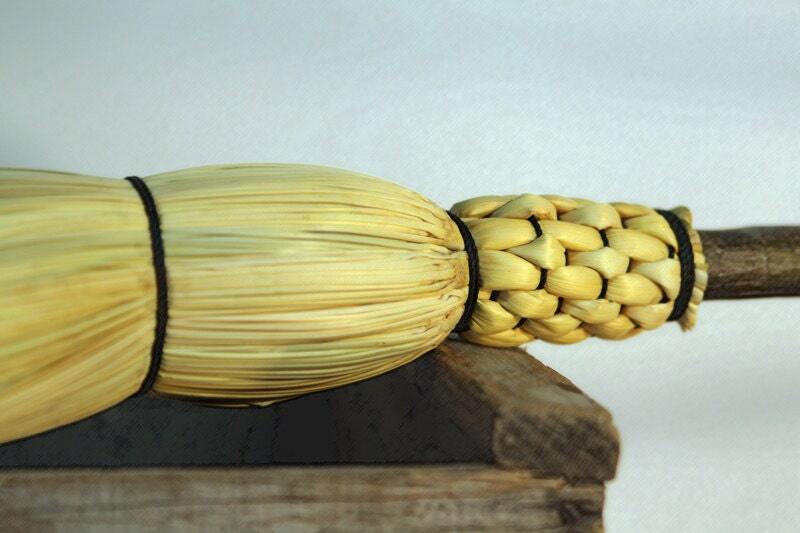 Cascade Mountain Porch Broom - Flat Sewn Appalachian style Corn Broom. Built on a natural branch handle, this broom is well balanced, so it feels good in the hands while sweeping. Sweeps as good as it looks! These are full size, about 57" long. The sweep is about 12" wide. A leather loop makes it easy to hang between uses. Always looks great, and lasts for years. Our handles are collected by us in the Cascade Mountains of Washington. 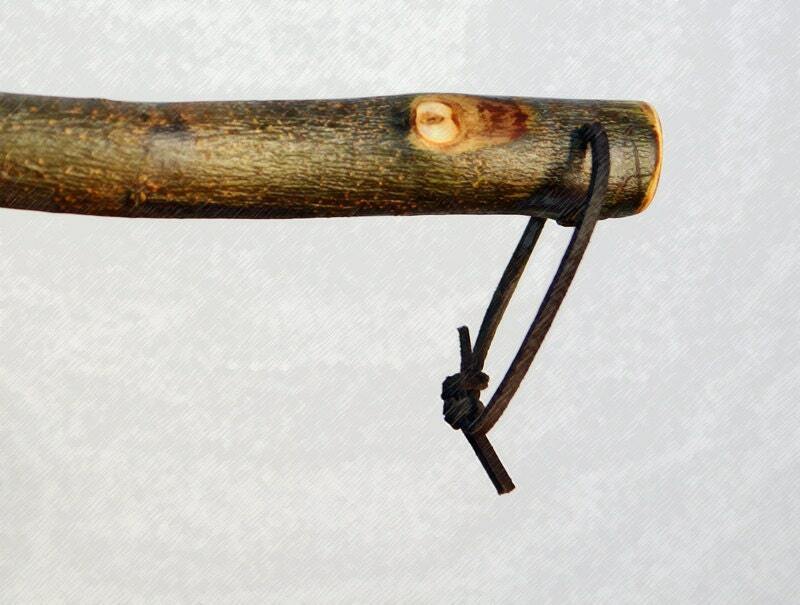 Our favorite handles are the straightest branches of western hazel, river birch, mountain willow, red alder, and wild cherry. We cure the handles for up to a year then sand the knots and bark to bring out the most character. All of our branch handle brooms are crafted by hand using only hand tools. Every broom we make is a functional piece of art. We have a strong passion for brooms - creating them, learning about them, and using them. 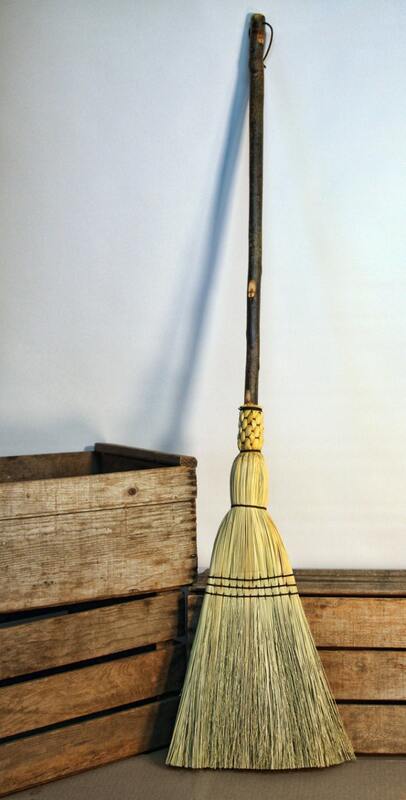 Each broom we offer is built by hand using 1800's methods borrowed from the Shakers. In our small workshop in the Pacific Northwest, we weave them one at a time. 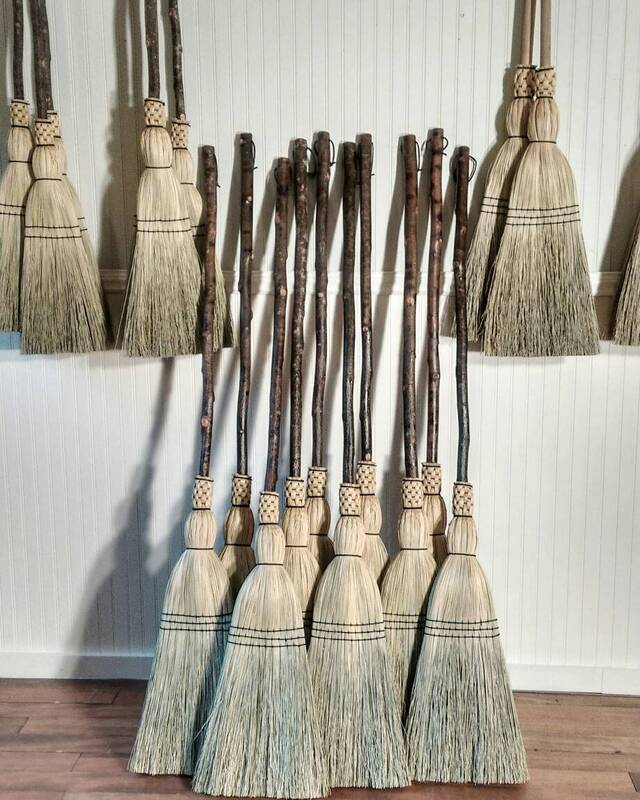 Every broom is unique, and designed to last for many years. Our ambition is to offer brooms of the finest craftsmanship -- and give each one our personal guarantee of quality. We accept both Paypal & Etsy Direct Checkout. Payment is due within 48 hours of making purchase. If you have questions regarding payment please contact us. Unpaid purchases after this time will be canceled. Most of our items are in stock and ready to ship in 2-3 days. We do ship many orders same day, when we can. Our shipping track record is fast. Occasionally we may be out of stock on an item, and will make and ship those orders asap. We welcome special broom orders... it takes about 1 week for special broom orders, plus shipping time. Please convo us if you have questions. We strive to answer all messages quickly. We use USPS Priority Mail shipping, so you get your orders on time. It is our highest goal to provide quality products to our valued customers. If you have a problem with your order, please contact us via Etsy Convo or email for immediate resolution. We welcome custom orders for brooms and candles. Just send us a message & let us know what you have in mind! We are not accepting dealer inquiries at this time, but we do offer free shipping on large orders. Thank you! This is by far the coolest besom I have ever bought,,,I love it,,thank you,you guys!!!!! 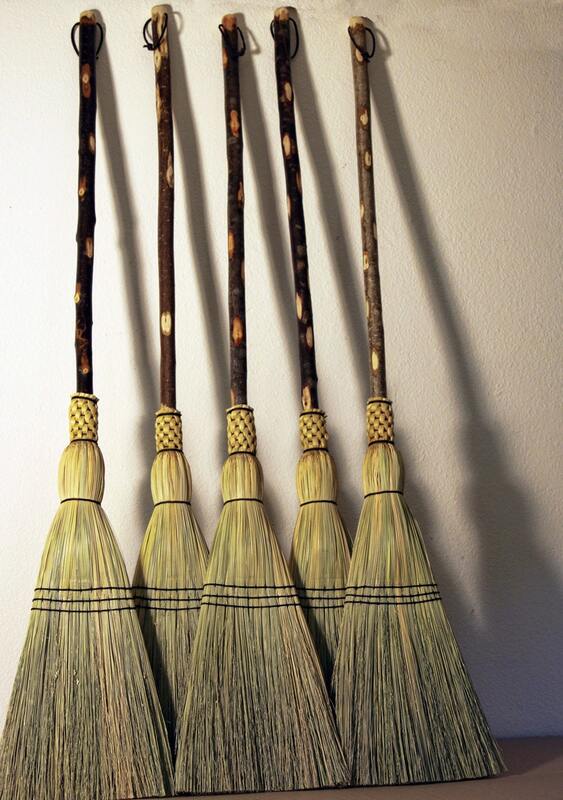 I odered 2 of these brooms, they are wonderful! The handle is beautiful and the broom bristles function really well. Im using them outside and in the garage but they would be great inside to. A great broom. WOW!! I won't be buying a commercial broom ever again. VERY fast service. Amazing quality. Worth every penny.